After pokemon, a plumber eating mushrooms, cuddling robots and who knows what other weird stuff, the Japanese have done it again. 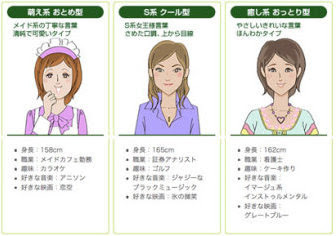 A weight-loss company has created a website that offers many different virtual wives to choose from. They vary in shapes and personality but all have one thing in common they will email you to encourage you to loose wait until you are sick of them. Signing up to the service you provide information about yourself, your eating habits, your weight-losing goals, vitals etc. Then the nagging starts every day, all day. The service is free of charge but the paying customers get to choose from different wives. Totally ridiculous!